How would you describe the laundry room in your home? Chances are, it's cluttered, dimly lit, and just plain boring. This is a room many of us don't think about much, and it's no surprise that we tend to refer to it as "dull" or "unappealing". When we go to do the laundry, we're looking to get in and out as quickly as possible, mostly because we've never put much effort into proper laundry room design ideas! Don't let the laundry room simply become a resting spot for your dirty shirts and towels to pile up. 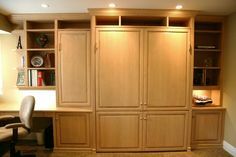 With the right design and storage capabilities, you can turn this room from a dreary, dirty area into a bright and efficient space. 1. 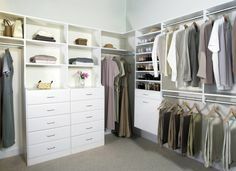 Use bright colors White has historically been the color that exemplifies the thought of being clean. It's pure, it's simple, and it's a great look for any laundry room. We recommend using light or bright colors for your walls, as well as any extra furniture in the room, such as cabinetry. Don't worry if your actual washer and dryer aren't white themselves; the contrast between colors will look great! 2. Have proper lighting There's nothing more unappealing than a dark, uninviting laundry room. It's important to have good lighting, and if possible, at least one window to allow natural light to come in. Again, for the best design and aesthetic of your room, consider custom window shades or blinds that complement everything. 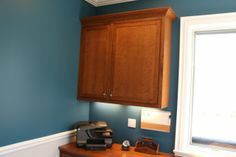 If natural lightning is not an option, or if you want additional brightness in your laundry room, you may want to consider under cabinet lighting. 3. Maximize available space Most laundry rooms are tucked away into an extra room or a basement where space is limited. 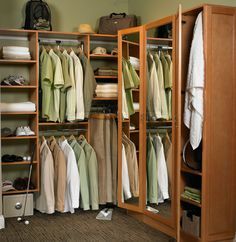 Clutter tends to accumulate quickly when these rooms aren't specifically designed for storing a large amount of clothing and cleaning supplies! To remedy this, you have several options. 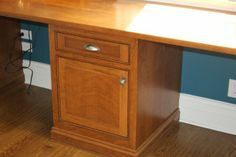 The first would be to install a counter top above the washer and dryer to create a smooth surface for prepping clothes. 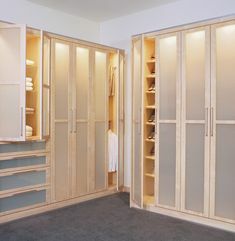 Another idea to consider is using the space behind the entry door as extra storage. 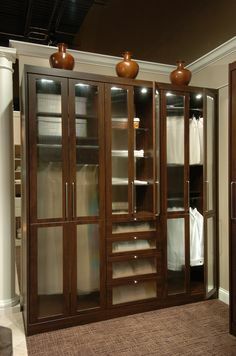 This is especially useful if your laundry room is in a small area, as it allows you to set up an extra compartment for storing cleaning supplies or other items. There are many options when it comes to great laundry room design ideas, and we've just scratched the surface! If you wouldn't describe your current laundry room as "bright" or "modern", give us a call and let us show you what we can do for you. 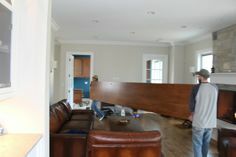 We'll provide you a free consultation and show you how we can transform this often forgotten area of your home!